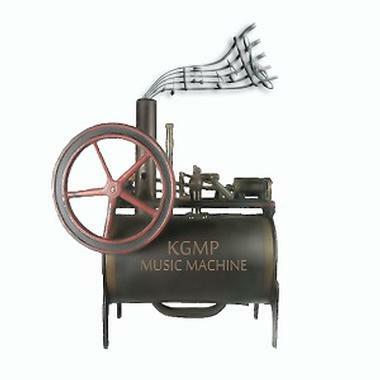 KGMP Music Machine is the combined efforts of Nashville songwriter, musician Kent Goodson, who has penned many songs for Music City Artists and showcases his world-class musical talents playing piano for legendary Country singer George Jones. Kent is joined by AudioSparx featured artist Michael Panasuk. Together they produce commercial tracks with factory precision in some mainstream genre including Country, Pop, Rock, Singer-Songwriter, Blues, and Dramatic for Film/TV, Radio, the Internet, and Corporate use. It is the Season to be Joyful! So let's all get up and Boogie Woogie with the best of them. Celebrate the Good Times. Be Happy! Dance into the New Year. Give the Gift of Love. Live a Wonderful Life! Let the Holiday Cheer fill your Heart to the brim with Christmas Spirit. Instrumental, Christmas, Xmas Jazz Ens.